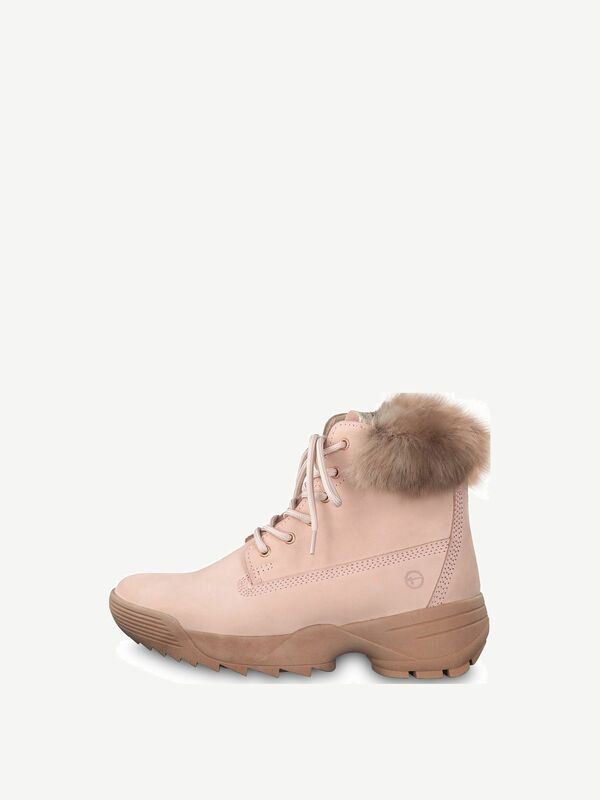 Delia 1-1-25711-31: Buy Tamaris Booties online! This shoe is exactly right for everyone who wants to make a trendy appearance in the cold season. The shoes prove masterly that even flat ankle boots can be elegant and stylish. The model unites a high wearing comfort with a fashionable appearance. The high-quality processing and weatherproof sole make the shoe the perfect companion for all weathers. It harmonizes elegantly as part of a chic business or evening look, while at the same time it can be a great detail of a casual outfit.